Horror films get such a bad rap. I admit, some criticism is well-deserved (the genre brings out the worst in some filmmakers), but most of the time the flak is unwarranted. 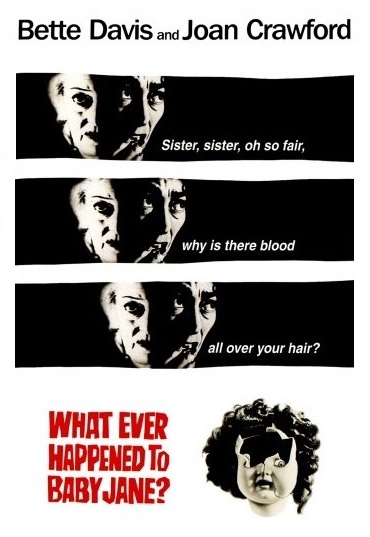 When a horror movie works, it gets under your skin like nothing else. I don’t think I have a favorite type of horror movie — I like ’em all! But, as I get older, I do tend to gravitate towards horrors that are psychological. Gory films can be fun, but more than anything else I love stories that make me feel uneasy. 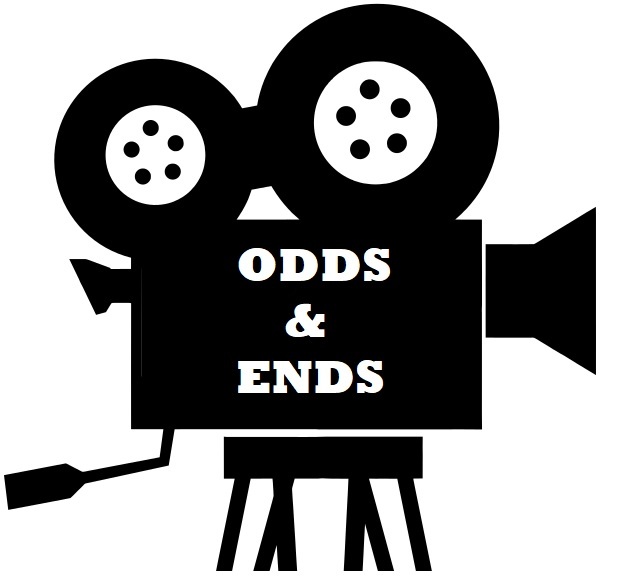 Who would have thought that a movie about two “old broads” trapped in a mansion could be so much fun? Bette Davis is a former child prodigy and Joan Crawford is her wheelchair bound (and ex-movie star) sister — it’s a real clash of titans! Newcomer Victor Buono’s namby-pamby musician adds a delicious quirky element to the proceedings. Director Robert Aldrich demonstrates that there is nothing more dangerous than a deteriorated mind. The film also contains one of cinema’s best twist endings. Ultimately, this is a sad commentary on the fleeting nature of fame. 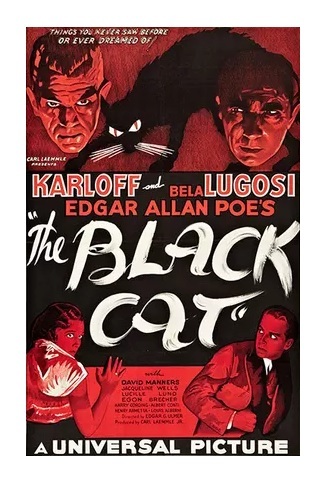 A movie where “even the phone is dead.” The first pairing of horror icons Boris Karloff and Bela Lugosi is not only their best film together, but also one of the oddest films of the 1930s. It’s like a Salvador Dali painting coming to life. Evil Karloff, an architect sporting a Liberace-like hairdo, is confronted by good, but vengeful Lugosi. The charismatic horror stars play a cat-and-mouse (more like black-cat-and-dead-rat) game that’s totally bonkers. By the time Lugosi decides to skin Karloff alive you’ll be laughing (or screaming) with delight. After the old Hollywood system collapsed, filmmakers looked like they were running around like chickens with their heads cut off. Director Tobe Hooper was one of those filmmakers that followed no rules. He inadvertently came up with one of the most disturbing movies of the decade. This is the story of a family of cannibals living in the fringes of society. The genius of the movie is that it suggests more than what it shows. The title alone sounds terrifying, but this is a really simple movie whose lack of sophistication works to its advantage. 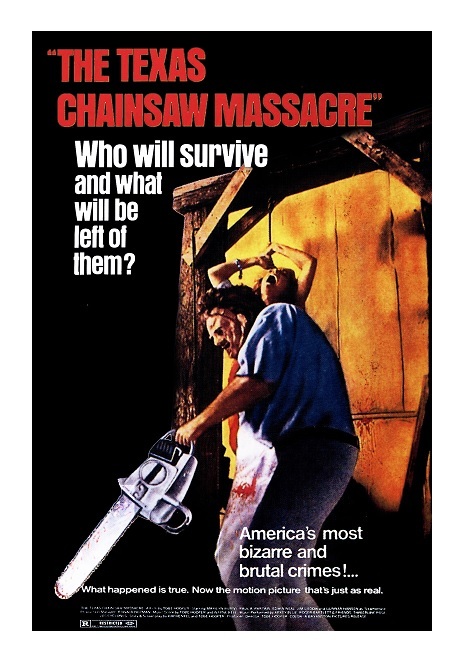 The film’s last image, with the killer doing the boogie-woogie with a chainsaw, is unforgettable. How many times you thought your teacher was a total witch? Well, in this case new student Jessica Walter earns the right to call all her teachers witches because — guess what? — they ARE witches! Director Dario Argento’s kaleidoscope occult opus is a textbook on how to use color to scare the bejesus out of us — the movie is like a bag of poisonous skittles. The soundtrack is pretty awesome too. The Gobblin’s phantasmagorical music score is one of the main reasons this movie won’t let you sleep at night — you have been duly warned! Hitchcock made us afraid to take a shower, Spielberg made us afraid to go to the beach, Carpenter made babysitting the most dangerous job in America, and Roman Polanski turned pregnancy into 9 months of maddening anxiety. Based upon Ira Levin’s terrifying book of the same name, Polanski does an amazingly good job creating an intolerable atmosphere of fear and uncertainty. The film also has a great ending. The cast is to die for: Mia Farrow, John Cassavetes, Maurice Evans, etc. Ruth Gordon nabbed a well-deserved Oscar for her role as an eccentric old lady. 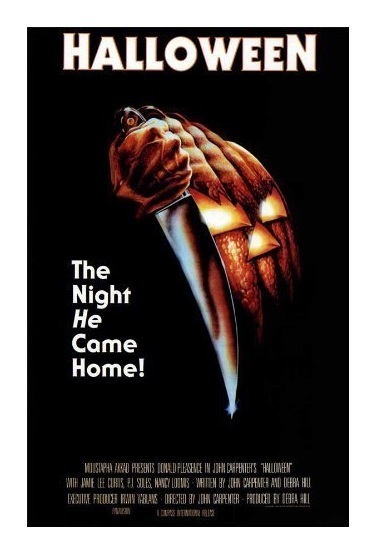 With 325,000 John Carpenter created the first bona fide heir to Alfred Hitchcock’s Psycho. Carpenter took horrors from a desolated Motel and dumped them in the midst of American suburbia. 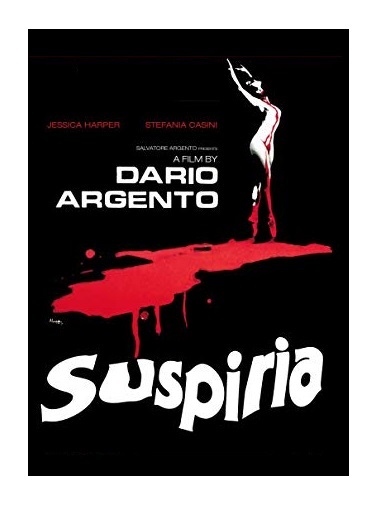 The fact the Jamie Lee Curtis (film debut), Janet Leigh’s daughter, plays the leading role, completes the connection between the two movies. Donald Pleasence provides gravitas as a modern version of Professor Van Helsing. Dean Cundey’s expressionistic camera work and Carpenter’s incredibly creepy music score make the movie look and sound very stylish. Fans of Stephen King’s best-selling book have never been able to forgive director Stanley Kubrick for ignoring most of the book’s elements — talk about literary appropriation! Kubrick did, however, mange to take King’s premise and create one of the most disturbing domestic dramas ever made. You read right. Unlike King’s book, Kubrick downplays the fantastic and accentuates the real. 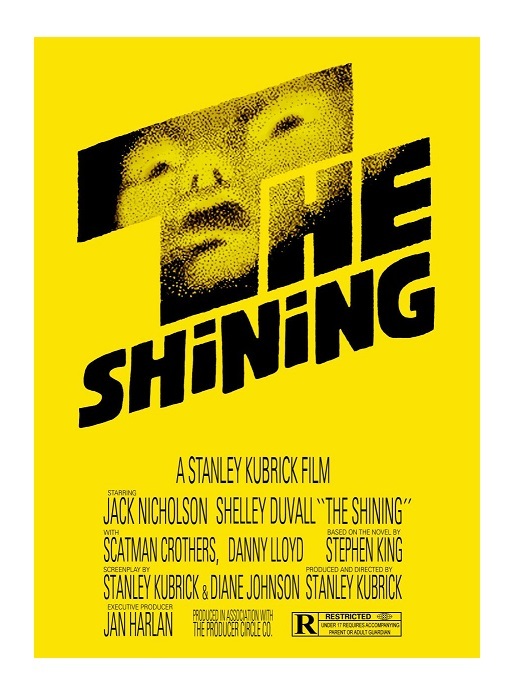 Oh yes, there are some mischievous poltergeists running loose and a little kid with magic powers, but make no mistake, Kubrick shows us that there is nothing more terrifying than domestic violence. “You’re gonna need a bigger boat,” Roy Scheider’s sheriff innocently exclaims. Scheider, accompanied by Richard Dreyfuss (as an oceanographer) and Robert Shaw (as an old sailor) set out to kill a bloodthirsty leviathan in this classic thriller that remains tons (three tons, to be exactly) of fun. Director Steven Spielberg took a pulpy book and turned it into a masterpiece of thrills. “Bruce,” the mechanical shark, malfunctioned throughout the shooting forcing Spielberg to hold back as much as possible. Deliberately or not, the slow-drip is what makes the movie so scary. John Williams’s brilliant music score is the icing on the coral-reef cake. As one critic put it, this movie marked “the beginning of sensationalism over sentiment.” Alfred Hitchcock’s legendary production broke a number of unspoken rules. Most amazing is the fact that it was all done on a minuscule budget. The shower sequence is justly legendary, but what I remember most about the movie, and the reason I keep returning to it, is its deliciously macabre humor — you can almost hear Hitchcock giggling hysterically as he manipulates all of us. 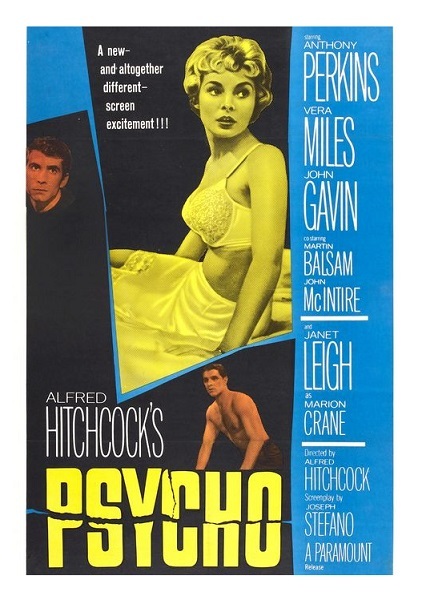 Anthony Perkins and Janet Leigh are unforgettable, and so is Bernard Herrmann’s unsettling music score. Alfred Hitchcock flips the bird (pun intended) to logic and proceeds to whip out the ultimate end-of-the-world movie. The visual effects show their age, but there is something about Hitchcock’s unwillingness to explain things that has always rattled me to no end. It all has to do with a spoiled socialite, a mama’s boy and a pair of love birds. What’s going on here? Does it really matter? 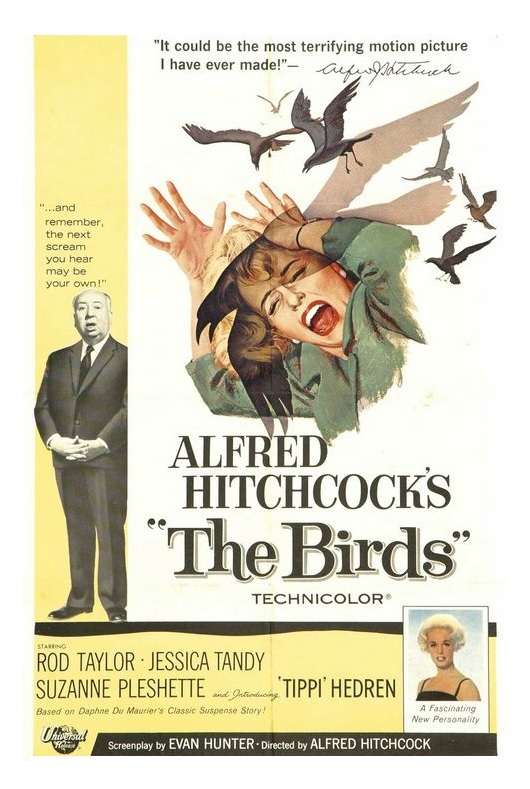 The (in)famous bird attack in the attic has religious overtones and the last image is Hitchcock at his most abstract. The film doesn’t have a music score — the images speak for themselves. I love the horror genre. When done right, the results can be electrifying. Looks can be deceiving! Yeah I might look big and scary but in reality I’m not that big a horror fan. Saying that though the last 4 are massive favourites. On slightly newer ones “Let the Right One In” from 10 years back now has been my favorite horror of the last decade pretty much by far. Then “The Devil’s Backbone” and I love the comedy horror of “Tucker and Dale Vs Evil” hehe thats so silly. If I was to do a top 10 I think the 70’s “Invasion of the Body Snatchers” still stays with me since seeing it as a kid!. Actually another that freaked me out as a kid was “Demon Seed!” I should revisit that, I bet that a blast now LOL…. Oh one more, I stupidly got stoned and rented out “The Serpent and the Rainbow”. What the hell was I thinking! 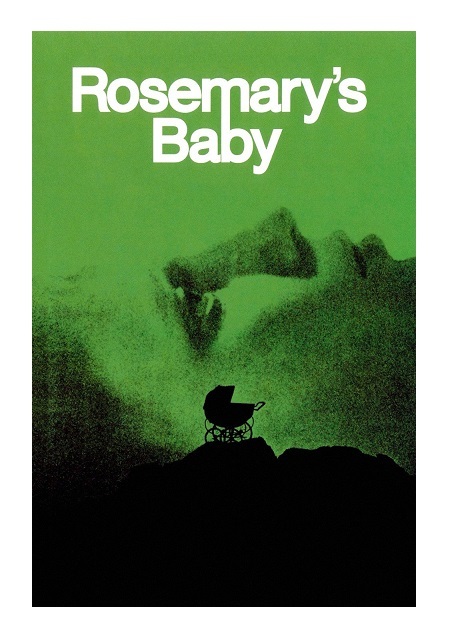 PS big laugh out loud moment, my Dad took my Mum on their first date to see Rosemary’s Baby, they thought it was a romantic film hehe. Anyway sorry for the nonsense I just wrote!! All classics, some of which I’m yet to see. Great list Eric! What’s your favorite horror movie? I’m really curious! Gee that’s a tough one. I dont watch many these days. Horror as I know it, I got to say there was something really compelling about Nightmare on Elm Street when I was a kid. I think The Exorcist is a near perfect film regardless of whether you find it scary. The Exorcist was #11. It almost made my list, but I haven’t watched it in ages … but yes, it seems like a perfect horror movie. Thanks!